Mommy Groups, here's a place for you to start or find or create a running groups. Whether you're proud to be starting out as a running mom or you've been addicted to running for years, why not share your passion with like-minded running moms? You can find a group in your area or maybe you want to start a running group in your area. Hey, you can even start a virtual running group of marathon runners, 5k runners, runners who love the Twilight serious, whatever you like! Just click here, create your own profile and then join a group or start your own group. 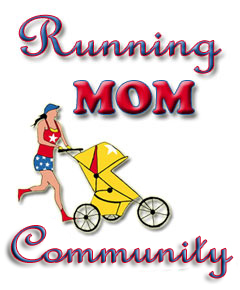 You can even join multiple running mom groups if you like. This is a great way to share your passion with other running moms, enjoy some adult company, motivate each other to run faster, run more often or just have fun, share a cup of coffee and talk about running, kids and all the other things we have in common!